While planning a tour in Central Asia, and more particularly, in Uzbekistan, travelers need to undertake an extensive search on available hotels, B&Bs, and other accommodation options. The article below seeks to help you in this. Tashkent is the capital of Uzbekistan and its major transport hub. Nearly 100% of all international and local air flights are operated from this city. A trip in Uzbekistan is usually planned in such a way that it starts and ends here. It is, therefore, important to have a research on available hotels and find the right option within your budget preferences. 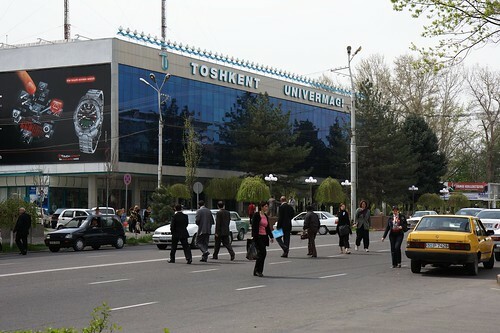 Tashkent has the biggest number of high category hotels, 5 stars and 4 stars. These include, for example, Intercontinental Tashkent, Tashkent Palace, Dedeman Silk Road, Markaziy and Radisson SAS. These hotels are fairly pricey, cheapest rates starting from around USD70 per night for a single room. Less expensive are 3 star hotels and B&Bs, which have less rooms in total. A bright example of such a hotel is the Uzbekistan Hotel, one of the oldest in town. Other hotels in this category include hotel Shodlik Palace, and Sayokhat. In addition, there is a significant segment of 2 stars smaller hotels, most of them private ones. This segment is providing a decent quality of rooms plus a minimum of amenities required, with no exorbitant services. Such hotels, like a few B&Bs (see for example, a well-known Gulnara B&B) are designed for lower budget travelers and provide a decent overnight at room rates starting from approx. USD20 per night. Samarkand is our next stop. This ancient city attracts tens of thousands of tourists per year, and has a well-developed hotel sector. The vast majority of hotels are privately owned 2-3 star hotels. There also two big 4 stars hotels: Afrosiyab and President. Your main choice of hotels in Samarkand would be to find the right location. In Samarkand, its monuments and attractions are located all across the city, and if you use public transportation or local taxis, you need to find a hotel near a big road. The nicest locations are those near the Registan Square and Gur Emir Mausoleum. See, for instance, Malika Prime hotel or President. Unlike Samarkand, in Bukhara all monuments and places to visit are concentrated to a major extent, in the so-called Old City. They are all reachable by foot, that’s why the majority of hotels are located either inside or near the Old City. Location of the hotel in this case is not so important, now you need to make sure you find out about the size of the guestrooms, quality of service and how new are the facilities. Looking for a hotel in Uzbekistan or its cities Tashkent, Samarkand and Bukhara? Review the collection of Uzbekistan hotels.